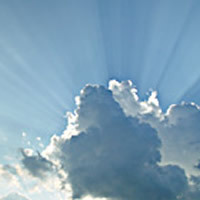 Shiela Anne Anselment, 75, of Enfield, Illinois, died Wednesday, January 23, 2019, at Deaconess Main Hospital in Evansville, Indiana. She was born August 27, 1943, in Susanville, California, the daughter of Gordon and Bonnie (Tucker) Hawhee. Shiela was a cook and waitress for much of her life. She enjoyed sewing, doing garment alterations, crafts, painting, and citizen band radios. Survivors include her significant other, Dwight Thomas of Enfield; son Phillip Trainor of Redmond, Oregon; daughter Lorena Guillen of Reno, Nevada; and several grandchildren. In keeping with Shiela’s wishes, her remains were cremated and there will be no services. Cook Funeral Chapel in Carmi, Illinois, is in charge of arrangements.